Maple Leaf Orthopedics is pleased to have Dr. William Watson as a member of its staff! Dr. Watson is originally from Minnesota, where he also attended medical school, at the University of Minnesota, Minneapolis. He graduated with honors. He then went on to Northwestern University Medical School, Chicago, to complete his Internship. He was then offered Chief Resident in the Residency Program at the Mayo Clinic, Rochester, MN, where he gained a wealth of knowledge in the diagnosis and treatment of Orthopedic conditions. Dr. Watson had a very successful practice in South Dakota for twenty years, practicing General Orthopedics and Sports Medicine. Retirement brought him to the mountains of Colorado where he lives with his wife and beloved dogs. He is very active participating in Ultra-marathons, running 100 miles at high elevations, skiing, scuba diving and traveling. Besides his office-based orthopedic practice, Dr. Watson obtained his certification through the state of Colorado to perform Independent Medical Exams and Impairment Ratings. 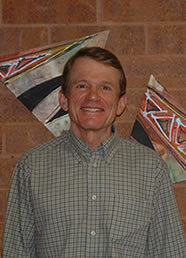 He is the only Orthopedic Surgeon in Pueblo with this certification. Every two years Dr. Watson must attend an extensive training session and become re-certified. The physicians at Maple Leaf Orthopedics have come to rely upon Dr. Watson's experience and expertise. He treats a variety of complaints, including joint arthritis, providing Synvisc and Hyalgan injections, sports injuries and fractures. In the future, he plans to hold a Runner's Clinic.